The V8000HD LCD Monitor is a small versatile High Definition LCD monitor in a wide screen form factor to match today's demands for the 16:9 aspect ratio. It supports all the HD standards via component inputs and also has loop through for all of them. 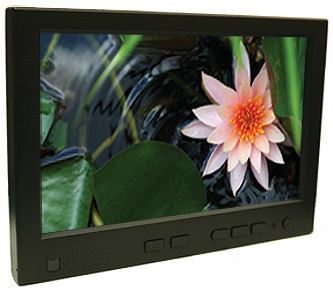 The Ikan V8000HD is an 8-inch diagonal High Definition video monitor with a widescreen LCD panel. This is a high quality unit capable of displaying images in 1080i, 720p, and 480p. 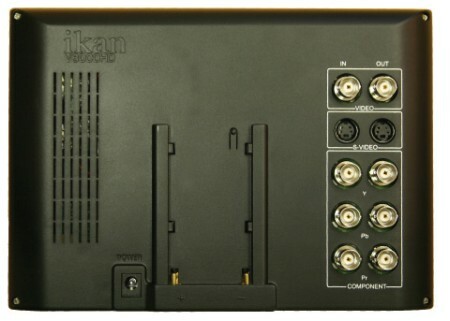 It includes BNC component, S-Video, and BNC composite inputs. It is compact enough for camera mounting or attaching to a jib-arm. It's large enough to be seen on a desk-top even from a distance. All of this and for under a grand. The V8000HD includes built-in support for “L” series batteries. This means that you can use your extra camcorder batteries to power this monitor in the field.